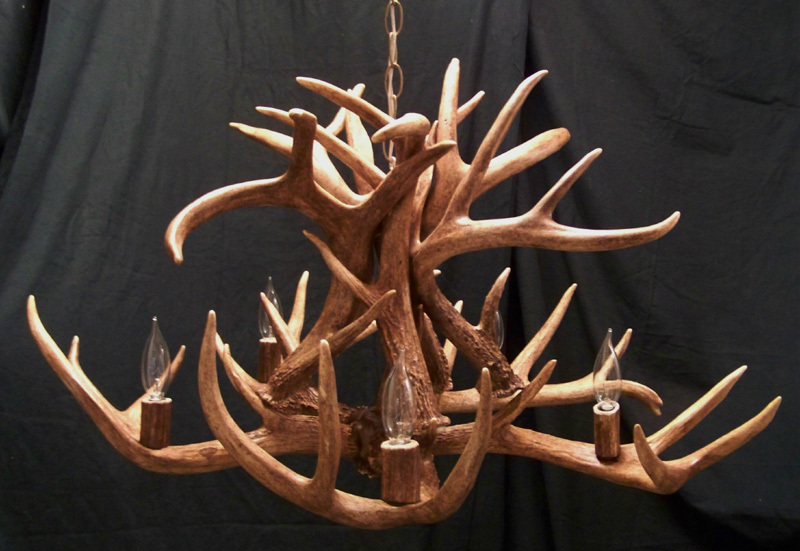 Whitetail Chandelier with Five Lights is handcrafted with ten Whitetail Antler Sheds. Leviton sockets are wrapped with real antler and rated at 75 watts. All wiring is internal and concealed within the antler. Four light and eight light chandeliers are also available. Please inquire. While each antler chandelier creation is unique, they typically measure 28″ wide x 18″ in height and weigh approximately 40 lbs unpacked. This Five Light Whitetail Antler Chandelier makes a striking accent piece for cabin, lodge, or rustic decor. 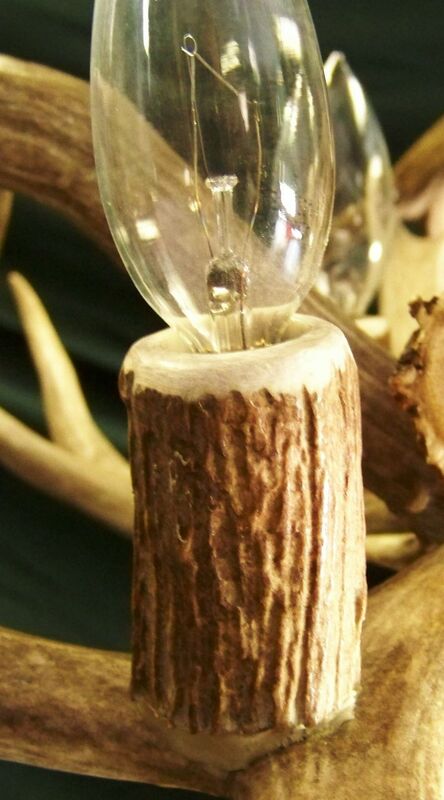 This unique antler piece brings nature to your cabin, lodge or rustic decor in a beautiful rustic way. All of the Antler Art pieces are handcrafted, custom creations – due to their uniqueness, no two are exactly alike. The antler artist is always available to work directly with you to select or design the proper piece for your needs. Each antler chandelier is custom made and takes about a week to construct once ordered. Due to the unique character of real antlers, each antler chandelier varies.